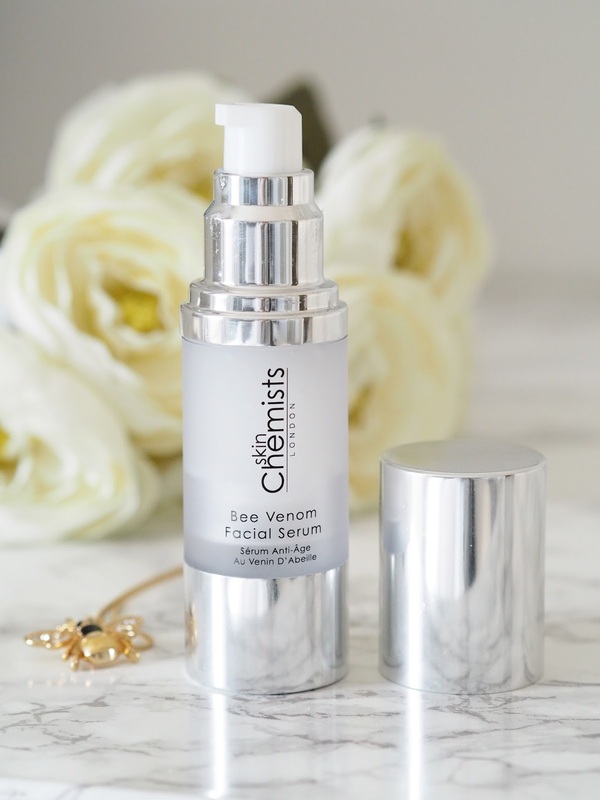 Spring seems like a really good time to ramp up your skincare and I know you guys will love this bee venom facial serum from Skin Chemists that I've been putting through its paces for the last couple of weeks. 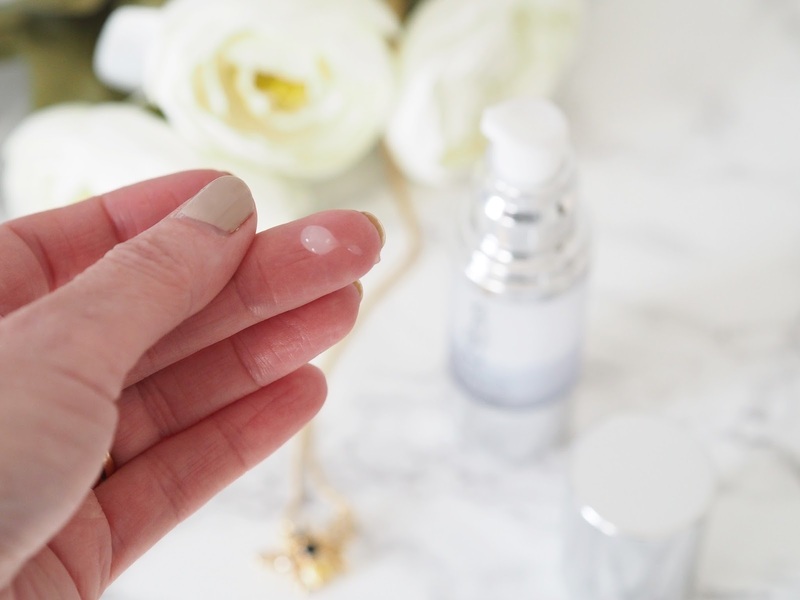 I'm sure you know that a serum is good to slot into your routine and that's because their formulations are able to penetrate your skin more deeply than your regular moisturiser and can deeply hydrate and moisturise. Why bee venom? 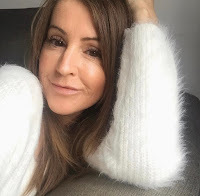 Well, bee venom works by fooling your skin into thinking its been stung and therefore causes the body to increase the level of blood circulation to that area which in turn provides a plumping effect, smoothing the appearance of fine lines, giving a more youthful look. You don't need to be alarmed though as no bees are ever harmed in harvesting bee venom. Basically, beekeepers use a very safe method which leaves the bee sting (and life) intact! If you're interested you can find more in good old Google. 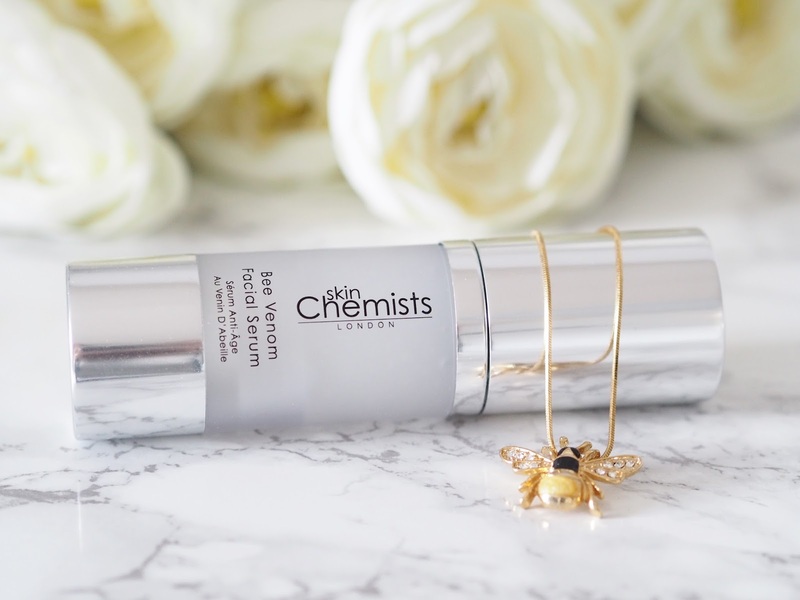 This particular bottle of bee venom serum is packed full of nourishing, plumping and hydrating active ingredients which will stimulate, smooth and firm the skin. The main active ingredients are bee venom (obvs), hyaluronic acid which we all know is just the best, and a blend of amino acids to balance the skin. Please DO NOT, I repeat, do not think about using any type of bee venom product if you are allergic to bees in any way shape or form. On freshly cleansed skin pop a pea sized amount on your fingertips and then apply to your face. You can use it both morning and night if you like. Pop on your normal moisturiser after if you need it, I do or if my skin is extra thirsty I'll apply my rose quart facial oil to give it a good quenching! It glides on and has a delightful fresh, spring like fragrance, a pleasure to apply. It gives my skin a 'just there' sort of tingle, so I know it's doing something. I can tell a difference in my skin when I've used this, and my make up looks better too. But wait, I also have one to give away to you guys so if you fancy getting yourself one for free as we step into Spring then just enter below. It's real easy but only open to the UK and EU this time. This sounds really interesting and I love the little bee necklace! I remember him from a past post hehe! Pics are amazing! Please can I have a photography lesson from you hun!! Location Spain haha!